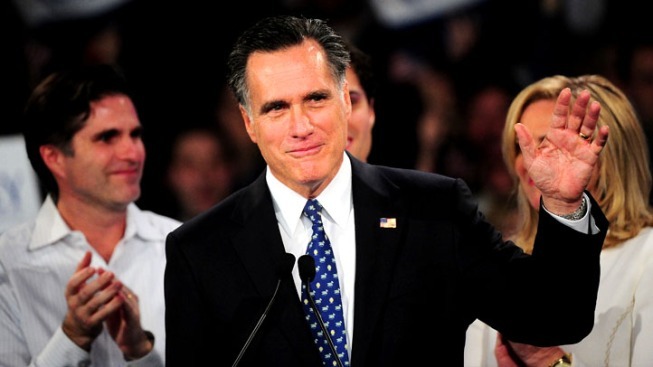 Mitt Romney has come under fire for a comment he made about how he likes being able to fire people. New Hampshire Republicans was still voting in its primary when Tuesday's shows were taped — but that didn't stop late night's hosts from having some fun with a rare new Mitt Romney gaffe. Romney had come under fire from rivals for his comment, "I like being able to fire people" — or, as Stephen Colbert put it, they "jumped on Mitt like Newt Gingrich on a younger, healthier wife." Romney's defense? His comments were taken out of context; he had been talking about how he wanted people to be able to choose new insurance companies when they didn't like their own. "Everybody knows you can't put gander sauce back on the goose," he continued. "If a chef did that to Romney's goose, he would fire him — and enjoy it."